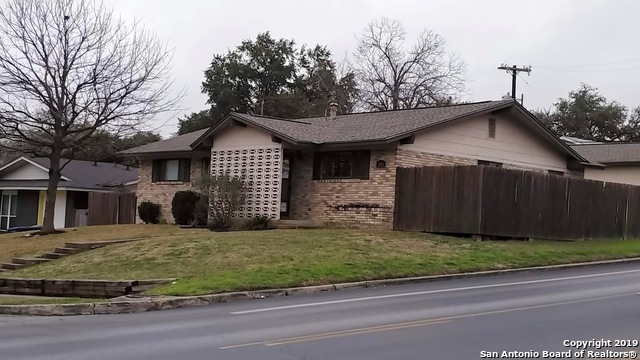 All HILLCREST homes currently listed for sale in San Antonio as of 04/25/2019 are shown below. You can change the search criteria at any time by pressing the 'Change Search' button below. 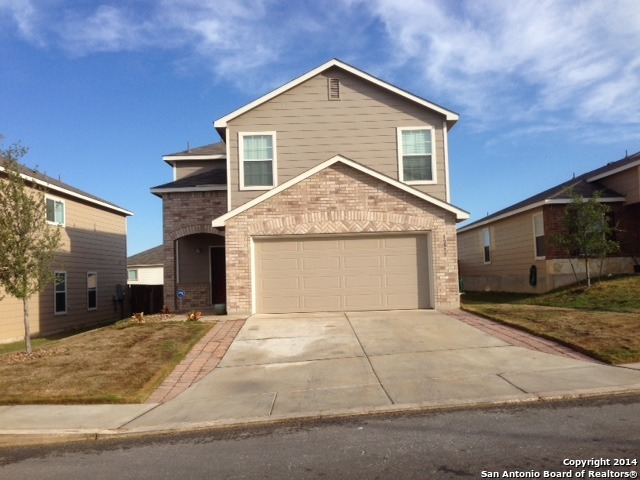 "This wonderful 3 bedroom 2.5 bathroom home is located near the heart of San Antonio. This recently upgraded home has new granite counter tops, cabinets and stainless steal appliances. 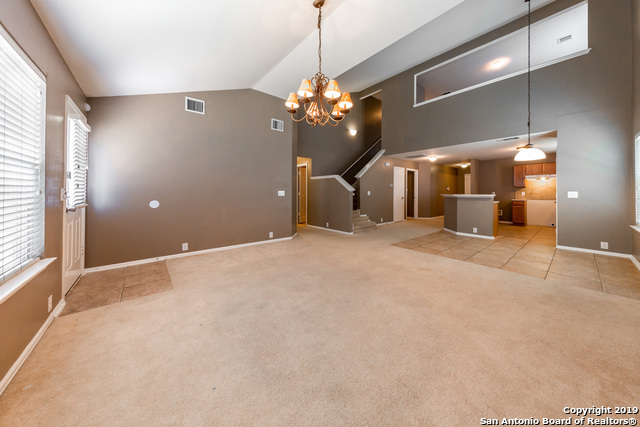 This open floor plan is perfect for entertaining, extra space is located in the den/ office. The master bedroom offers a nice private balcony from where you can see the downtown fireworks on New Years eve. The meticulously maintained pool in the backyard provides you the best place to escape the summer heat." "Extremely well-cared for single story with no steps down. New roof 2016. Energy efficient casement windows thru out. Most lighting fixtures replaced as well as interior/exterior painted. Pristine, original hardwood flooring in most rooms. Family room off breakfast area. Kitchen has gas cooking, granite counters & island. All appliances convey including fridge, washer & dryer. Rose bushes, Orange, Lemon, Tangerine, Pecan, Fig & Persimmon trees. Cvd patio. Oversized 2-car attached garage." "COMPLETELY REMODELED HOME!! MOVE IN READY!! LOTS OF LIGHT AND WINDOWS! NEW ROOF, AC, DUCTWORK, WATER HEATER, PLUMBING, BATHROOMS REDONE, SS APPLIANCES, GRANITE COUNTERS, TILE, CARPET, FRESH PAINT, REFINISHED REAL WOOD FLOORS. NICE FAM ROOM WITH FIREPLACE. COVERED CARPORT, STORAGE SHED, NICE SIZE BACKYARD. SQFT DOES NOT REFLECT FAM ROOM, SNRM AND UTILITY RM. MIN TO MEDICAL CENTER AND DNTN." "This particular Pulte Floor Plan is one of their more elegant free following and spacious floor plans. Master down with a separate tub and shower`his and hers lavatories with a walk`in closet with pant racks,shirt racks and dress racks. (very functional) French doors at office. Downstairs is very open`high ceilings Great room breakfast bar.Title back splash in kitchen. Separate laundry room. Upstairs loft~3 larger bedrooms and a full bath. Lots of windows. `"
"Charming, impressive two story home. Spacious interior with two living, two dining areas and game room. Large kitchen open to living area with walk in pantry. Spacious master with garden tub and separate shower. Nice covered patio for outside activity and entertainment. Close to schools, shopping, entertainment and major roads. Convenient to LAFB." "Lots of recent updates in this beautiful home! BIG KITCHEN, true hardwood floors, 2 large custom built walk-in showers, updated HVAC, electrical updates, newer light fixtures and hardware, the list goes on and on. What makes this house so great is that it has 2 master bedrooms! One of the masters is huge and could possibly double as a gameroom. The closet has elaborate built-ins and its huge. Nice overall location, nice curb appeal, sizable backyard...fantastic house!" 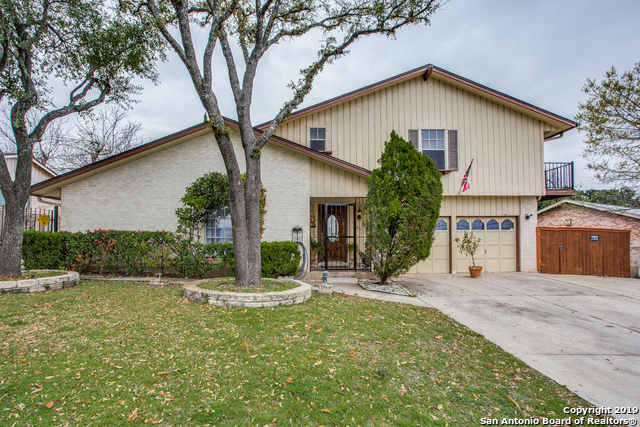 "Built in 2005, this San Antonio one-story offers a den, a kitchen breakfast bar, a walk-in closet in the master suite, and a two-car garage. Upgraded features include a new roof." "Meticulously renovated ranch home on large corner lot in desirable neighborhood! 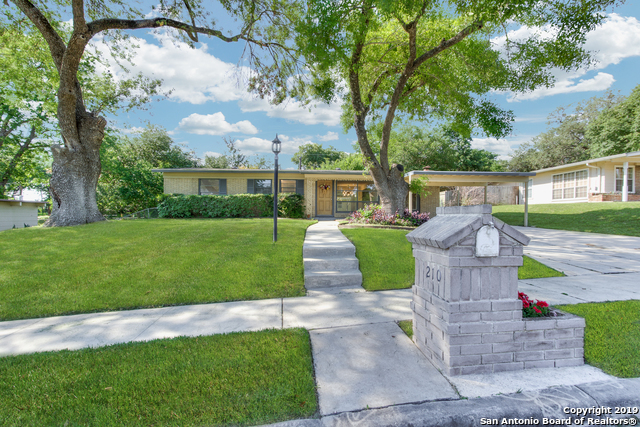 This vintage gem is close to everything - IH 10/410, medical center, USAA, shopping, and more! Outside features a 2-car detached, over-sized garage with lots of storage while the inside boast of a spacious open floor plan with tile & hardwood floors throughout. Large living area & master retreat, + 2 bedrooms. 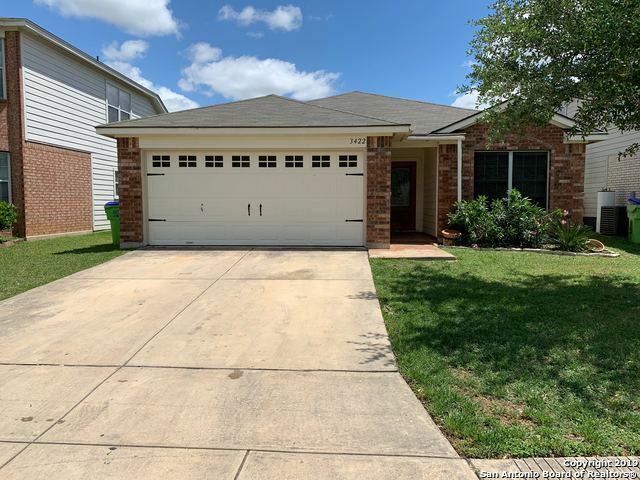 Includes refrigerator, washer, dryer, BRAND NEW HVAC system, & 1-yr One Guard Home Warranty to protect you"
"Built in 2012, this San Antonio one-story offers a covered patio, a walk-in closet in the master suite, and a one-car garage. Upgraded features include fresh interior paint. This home is part of the Hillcrest HOA. Home comes with a 30-day satisfaction guarantee. Terms and conditions apply."